» Dodge College has designated resources to support our alumni that are producing low budget portfolio projects. Portfolio projects are considered projects such as film contests, spec commercials, music videos or short films that will help alumni gain additional experience and build materials for their reels. This policy allows us an equitable way to support the many requests we get from students and alumni without taking resources away from currents students working on required projects for their degree. These requests require at least two (2) weeks to review from the time all materials (listed below) have been received. The demand on equipment and facilities is very high during most months of the academic year which may affect our ability to approve requests. Likewise, requests for post-production resources that conflict with current students' needs, typically towards the end of each semester, may not be possible. 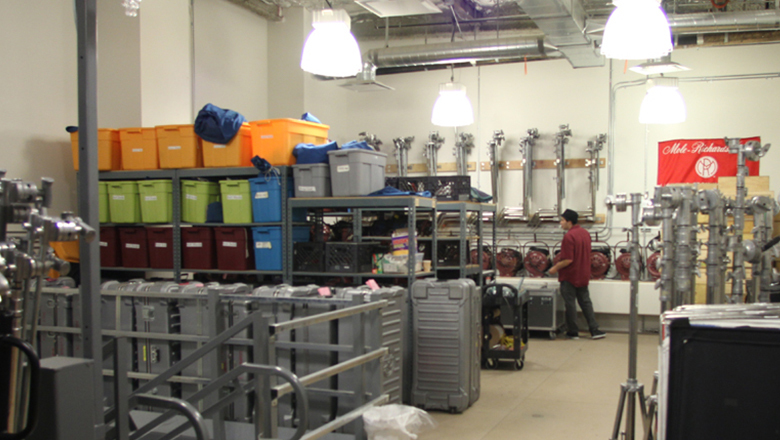 Please also be aware of Chapman University's requirement for the Requestor to provide proof of $1,000,000 General Liability coverage and Property Insurance with limits that exceed the replacement values of the items (equipment/props/wardrobe) being borrowed. A Certificate of Insurance (COI) naming Chapman University as an additional insured and loss payee must be submitted prior to check out. Equipment List - include all resources being requested. You can use the Goldroom Request form to generate a list, or use the Equipment List Template on the NCAP form. Any requests for the use of a sound stage will only be considered if the person making the request, as well as the 1st AD and Gaffer have completed the Stage Systems Workshop and have been certified by the Stage Manager. Post-production facilities required, e.g. Avid editing suite, ProTools Mix Suite, Online finishing/color grading suite, ADR booth, Foley stage, etc. Final delivery format(s), e.g. DCP, Blu-ray, etc. Additional or miscellaneous post-production requests or requirements, e.g. shared storage workspace, special visual effects, etc. Once all of these items have been submitted, the request will be reviewed and you will be notified whether or not your request has been approved.